I was speaking with someone the other day about type 3 diabetes, which I had never heard of before. Knowing that Alzheimer’s is related to MTHFR gene mutations, this got me thinking about types 1 and 2 diabetes and whether MTHFR is a cause. As with many of the MTHFR-associated illnesses, this gets a little complicated. While MTHFR gene mutations do not directly cause diabetes, hypomethylation and elevated homocysteine (which can be caused by MTHFR) are serious risk factors in the development of type 2 diabetes. A recent study found that the MTHFR C677T genotype is associated with type 2 diabetes susceptibility. Long-term exposure to homocysteine causes issues with “insulin secretions, cell death and beta cell metabolism problems.” This increase in homocysteine is more to do with the person’s risk profile than with the diabetes itself. For those people with MTHFR who have diabetes, the genetic mutation can greatly complicate their illnesses. These patients may have a greater risk for developing diabetic retinopathy, neuropathy and nephropathy. Ethnicity may be involved in the causation. Elevated homocysteine can also increase the risk of cardiovascular disease, which is a leading cause of death in patients with diabetes. Drugs like Metformin may increase homocysteine levels in people with MTHFR C677T. So it is especially important that people with diabetes treat their MTHFR gene mutations. 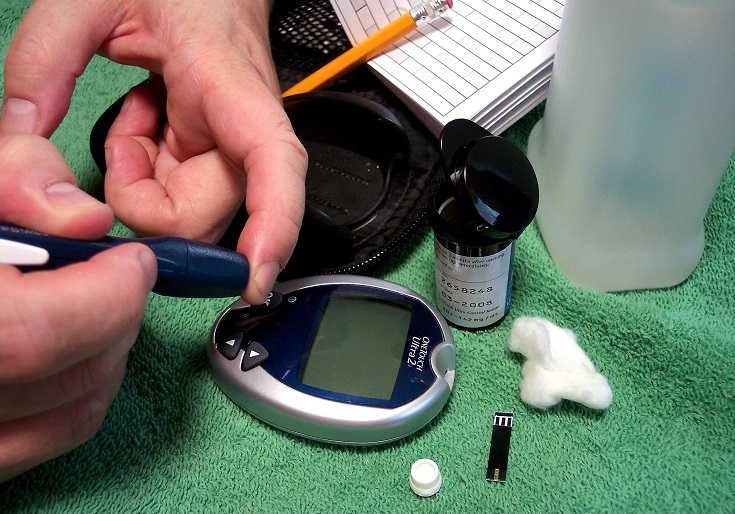 Diabetes patients also face reduced levels of glutathione (GSH), either from the diabetes or a combination of the diabetes and concurrent MTHFR gene mutations. Uncontrolled type 2 diabetes reduces the availability of glutathione precursors while GSH synthesis and metabolism are altered by hyperglycemia and diabetes. People with metabolic syndrome, the precursor to diabetes, also have reduced levels of GSH. This presents serious challenges to the body as people with diabetes face increased rates of oxidative stress. As type 2 diabetes is increasingly becoming recognized as an immune disorder that is associated with chronic low level inflammation, the connection to low GSH is very interesting. Patients with diabetes are, for example, more susceptible to infections such as melioidosis. As a side note, diabetics may find some relief with low-dose naltrexone (LDN) therapy. As always it is very important to address your MTHFR mutations with diet and lifestyle changes to prevent damage to your body from elevated homocysteine and folate depletion. People with diabetes and MTHFR face special challenges and will want to work with a MTHFR-knowledgeable practitioner as they manage their illnesses. If you’re pregnant or trying to become pregnant, please be aware that the homocysteine risk factors also apply to gestational diabetes. Posted by Andrea & filed under Health Conditions. This post has no comments yet.